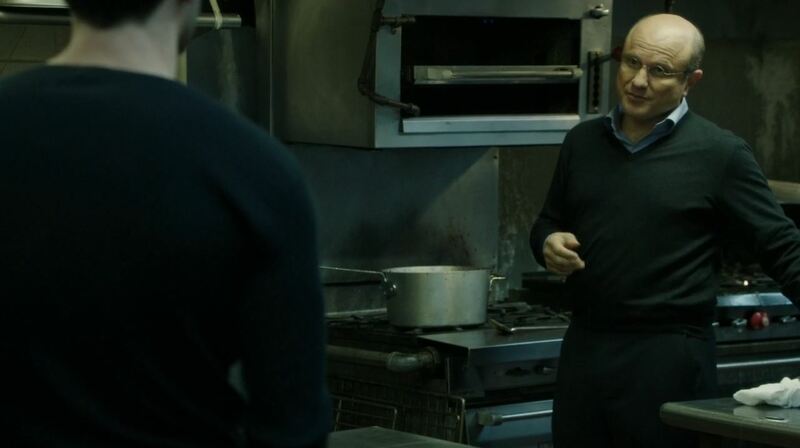 This weeks episode ‘Endgame’ pushes Person of Interest into a higher gear as the deaths of Laskey and in particular of Cal Beecher from the previous season set events in motion that threaten the lives of Carter, Fusco and even Mr. Reese. Endgame is the first of three episodes that deals with the HR vs. Russian Mob feud but more importantly with HR vs. The Man In The Suit (AKA Mr. Reese). In the previous episode review I complained about Fusco’s small role since season 2. I even hinted that other characters such as Mr. Reese and even Finch seemed to be less involved because their background stories were already pretty much fleshed out. PoI may have burn up most of its trump cards too soon. 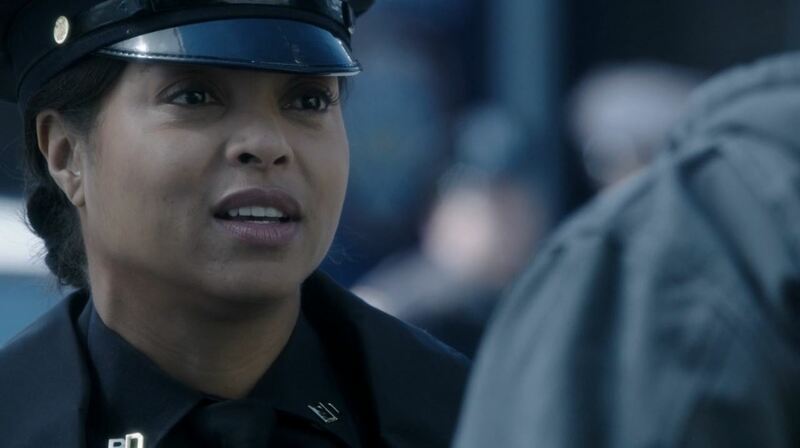 Endgame starts everything anew by showing more of Detective Carter’s history as she leaves the military and joins the NYPD. Carter’s back story is shown through flashbacks during pivotal moments of the episode. Carter is seeking revenge for Cal and Laskey and knows that Cal’s godfather Alonzo Quinn had him killed. By hijacking a shipment of drugs from the Russian Mob she starts a feud between them and HR. Finch catches on to what is happening when he receives no fewer than 38 social security numbers all belonging to corrupt police officers. Carter has only involved Shaw in her plan and even then at an arm’s length. She also avoids entangling Fusco, though he doesn’t give up trying to figure out what is bothering her. Carter escalates the feud by involving Elias, the godfather of the Italian mob. Elias has the leader of the Russian mob think that HR is making a move against him. Though Elias has no plans to get involved further and he rides out-of-town to let the dust settle. Carter forces Alonzo Quinn’s hand by trying to assassinate him and making it look as if the Russians are behind it. Alonzo orders all HR members to use their uniforms to arrest Russian mobsters and take them to a secret place of execution. Carter blackmails the leader of the Russian mob into signing a confession that implicates Alonzo Quinn with the drugs trade. 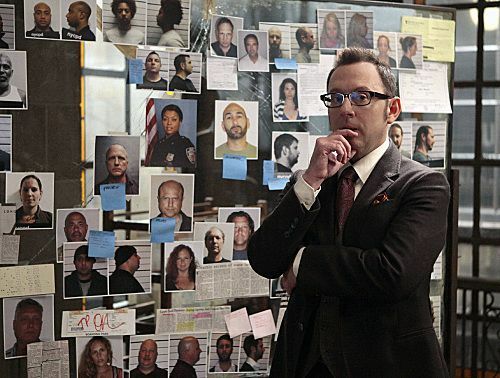 Finch and Reese finally deduce that Carter is behind the feud when they uncover that the methods used are similar to those of Reese. Carter has tipped of the FBI as to the location of where the Russian mobsters are held captive. They arrest the HR members present when they uncover large amounts of drugs from the trunk of one of their squad cars. Carter seeks out a judge to get an arrest warrant for Alonzo Quinn. The judge promptly alerts Quinn and she is ambushed. She reveals however that she knew the judge to be corrupt and after Quinn orders her death she reveals that they are being recorded. Mr. Reese just in time manages to save Carter but has his picture taken by the dashboard camera of a squad car. 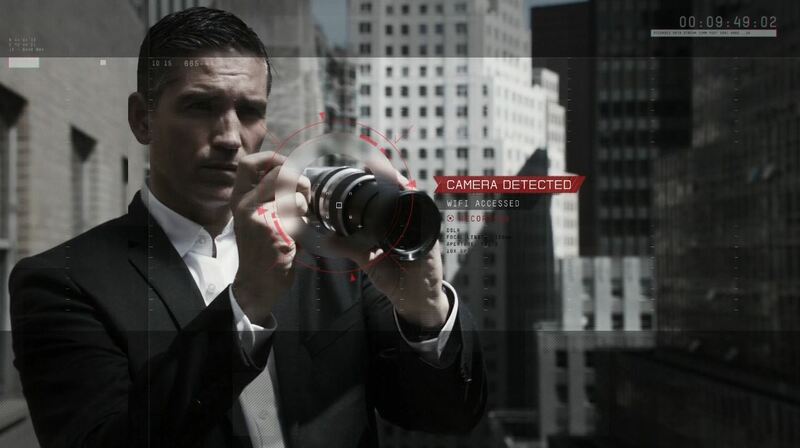 Reese and Carter escape with Quinn as a hostage but Simmons, his number two, orders the picture of The Man In The Suit to be distributed to every member of the criminal underworld of New York. Thus setting the stage for a massive manhunt in the next episode. Endgame as mentioned before deals with the accumulation of events of almost the entire previous two seasons. Though Carter’s desire for revenge makes her the pivotal character in this episode the stage is set for both Fusco and Reese to become center stage during the next two episodes. Fans have speculated that for Fusco it may be the swan song but I’ll keep my hopes up. Endgame feels thematically similar to the movie The Dark Knight. The unforgiving macabre world of mafia and corrupt police officers make for a dark tone. Jonathan Nolan of course did help his brother with that movie as writer of the screenplay. Endgame is however not without its flaws. The flashbacks of Carter are interesting but do slow down this episode. Having her background fleshed out may have been better at another time. 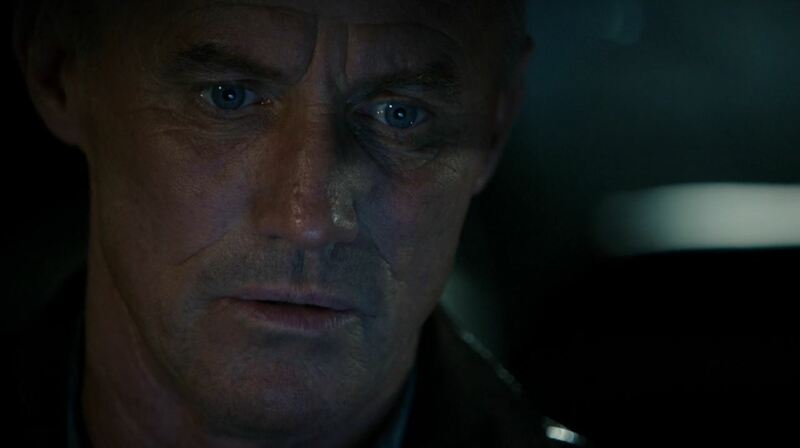 Shaw and Finch also have less to do during this episode, for Shaw it is becoming noticeable but I am guessing Mr. Reese will need their help during the coming episodes like never before. My other major gripe was the relative ease with which HR took out the leadership of the Russian mob. Remember, in previous episode it was mentioned that HR had only just managed to get its act back together after the previous bloodletting. The Russian mob was described as clever, powerful and above all extremely violent. They even captured turf from Elias and in doing so weakened him. Now HR just about owns the Russian mob in just one episode. At least it will mean that Elias will be featured more prominently in upcoming episodes. Score; 9 / 10. A pivotal episode in the PoI mythology that sets the stage for an explosive next episode. 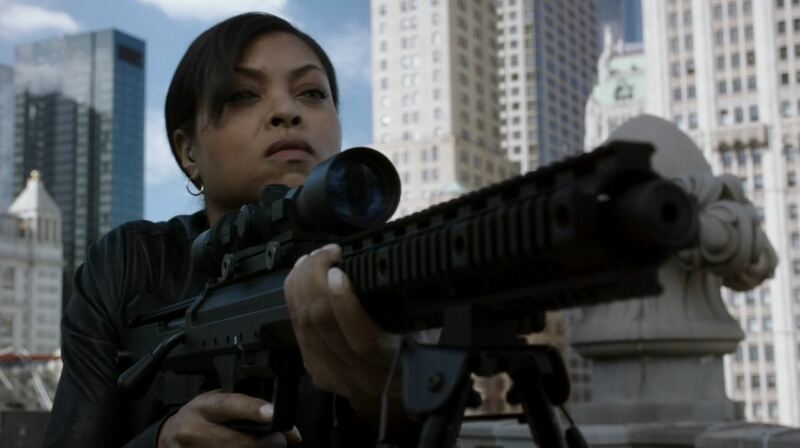 Person of Interest episode 2 ‘Ghosts’ review! Next story Agents of S.H.I.E.L.D. S1Ep7 ‘The Hub’ Review! Previous story Sleepy Hollow S1Ep7 ‘The Midnight Ride’ review!